Boatersland Marine stocks dozens of Raritan marine toilet replacement parts and repair kits at discount prices so you can find the specialized parts you need to repair, maintain or overhaul the Raritan marine head on your boat. Boatersland Marine has the specialized parts you can?t get just anywhere, such as this Raritan Managerm air lift pump assembly. 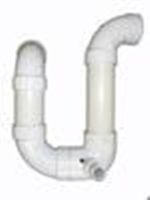 Because these are original equipent Raritan parts, you can be confident they will fit right and work right on the Raritan marine toilet in your boat?s plumbing system. With Boatersland Marine?s wide selection of individual replacement parts or complete repair kits, you can save money by getting exactly the parts you need to repair the Raritan marine head on your boat.